The edition of Heidi I read was translated by Elizabeth P. Stork. The classic children’s story about a young orphan named Heidi who after growing up with her grandfather in the Alps, where she falls in love with the wide-open spaces, is sent to the city to be a friend for a sickly girl named Clara. Soon Heidi becomes homesick and wonders whether she’ll ever see the mountains and her grandfather again. Heidi is a very bright, adventurous girl. She’s friendly and caring but she’s also determined. She’s an interesting heroine as you see how the people she meets and befriends shape her and her beliefs. There’s a lot of lovely themes in Heidi of love and friendship. The familial love between Heidi and her grandfather is touching as he’s seen to be a gruff, unfriendly person by the villagers but the two of them understand one another and Heidi brings out his caring side. Her friendship with both Peter, a young goatherder, and Clara, a sickly girl in need of a friend, are heartfelt and believable. The story is a bit too cutesy and sweet for my tastes and the way the characters talk is definitely a product of its time a it was written in the late 1800’s. Everyone is very enthusiastic about their emotions, especially if they’re positive about something, and it’s a bit much sometimes. The descriptions of both the mountains which Heidi loves so much and the city she finds so oppressive, are both vivid. You really do feel like your sitting on a mountainside with the way the colours and smells are described. 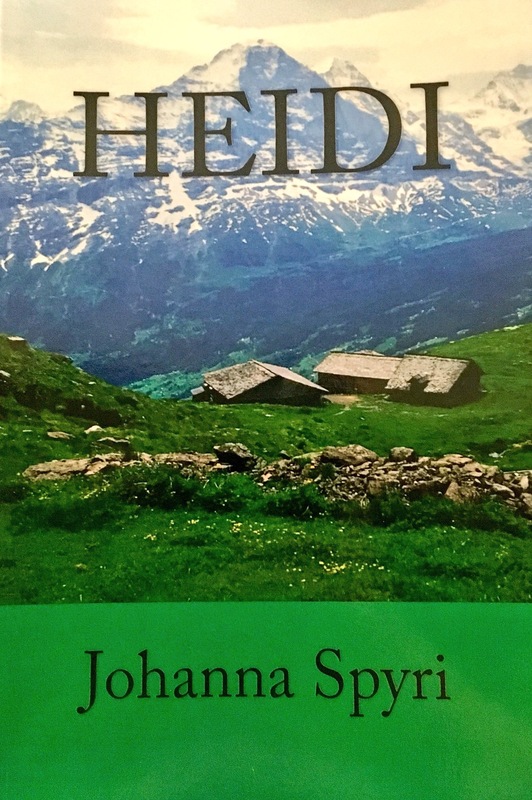 Heidi is a quick, easy read. It’s nice I’m able to now say I’ve read this classic children’s story, one that I knew next to nothing about as I hadn’t seen any of the various film and TV adaptations there’s been over the years, but it wasn’t a memorable read.